Laboratories are places where, due the characteristics of the job performed, emergency situations caused by spills, splashes and fire connates, could occur easily, where a fast and effective intervention will prevent those incidents to become higher problems. The so-called actuation elements are constituted basically by: security showers, eye-cleaning fountains, fireproof blankets, estinguishers, neutralizers and emergency ventilation equipments. 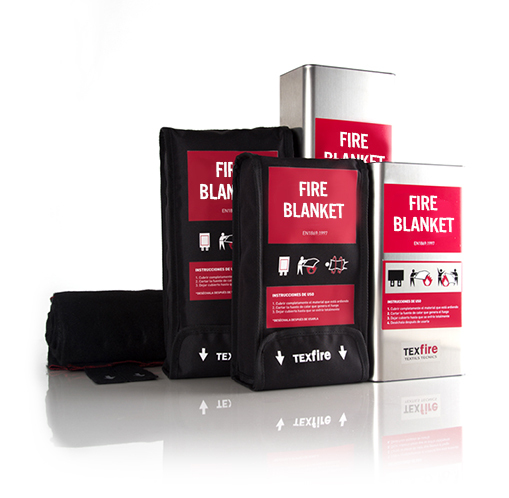 Fireproof blankets let an effective action in the case of small fires over people or incandescent objects that require fast action. Our Fireproof blankets are made by a fabric apt fot extinguish any kind of fire: Class A, B, C, F/K. The use of fire blankets does not require any kind of special formation: 1) Take the blanket off 2) Cover the fire or the affected person 3) Allow to cool. Laboratory risk prevention: acting and protection elements in case of emergency. This European Regulation has been written by AEN/CTN 23 technical comitee (Safety Against Fires) and y approved by NEC (Normalisation European Comitee). 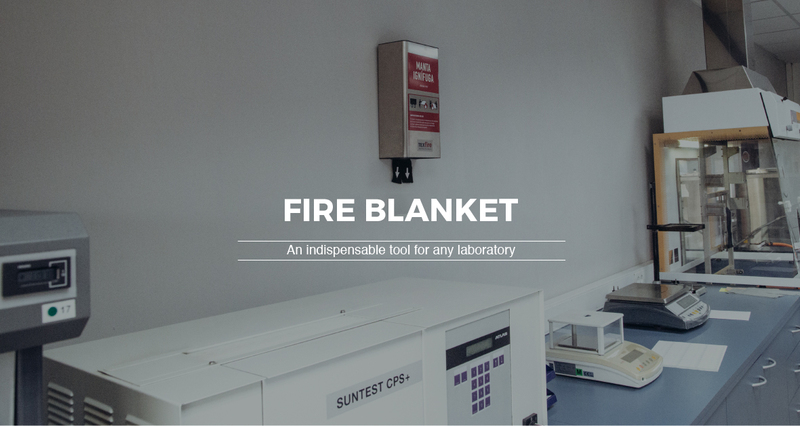 All Texfire products are certified by official laboratories, including Fireproof Blanket, and have a rigorous quality control in our internal laboratory before being sold. Texfire will give you technical support you need in order to make you offer an optimal sevice to your clients. We are certified according ISO 9001:2008 and we watch for quality management in all our company's departments.